Here are a couple of new features and enhancements Microsoft has introduced to create a more secure Windows environment. The latest iteration of Microsoft’s web browser, Internet Explorer 10, introduces a feature called SmartScreen. With SmartScreen, it is easier to prevent phishing attacks. SmartScreen works as a filter that will stop you from downloading from any fake link that often redirects users to other malicious web pages. In order to be recognized as a reputable download source, developers must now have a digital certificate signed by Microsoft for all apps. This way they are Microsoft-approved and you can rest assured that the application you are downloading is safe. It’s an added measure of security that some developer have reacted negatively to (because of the extra steps involved), but which ultimately helps make sure that you keep your computer more secure when downloading files. Secure Boot is a new feature that helps users fend off low level threats and rootkits. It’s a defense tool that gets activated when you boot your computer. During this bootup process is when your PC has higher chances of getting infected by viruses and rootkits since your antivirus programs is not yet running until bootup is complete. Thus, Microsoft developed Secure Boot, which defends your PC while it boots. Rootkits are another form of malware that can threaten the security of your PC and your private data. Often, rootkits bury themselves deep inside your computer system without your knowledge, and they load up as soon as your PC starts up. With Secure Boot, however, you can be assured of safety against rootkits. With these new features, it is evident that Microsoft is taking initiative to improve the security of your computer and your personal, valuable data. 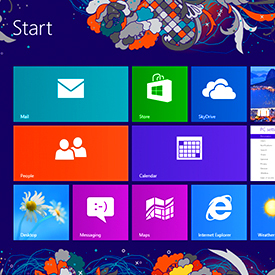 Despite these new features, however, you should be extremely vigilant if you plan on upgrading to Windows 8 right away. Unfortunately, hackers will still try to develop methods to thwart new security measures, especially when the operating system is new. Over time as security breaches are found, Microsoft will detect them and release updates and patches as necessary. Windows 8 is more secure that predecessors, but you should still maintain your current security strategies to maximize your PC safety.